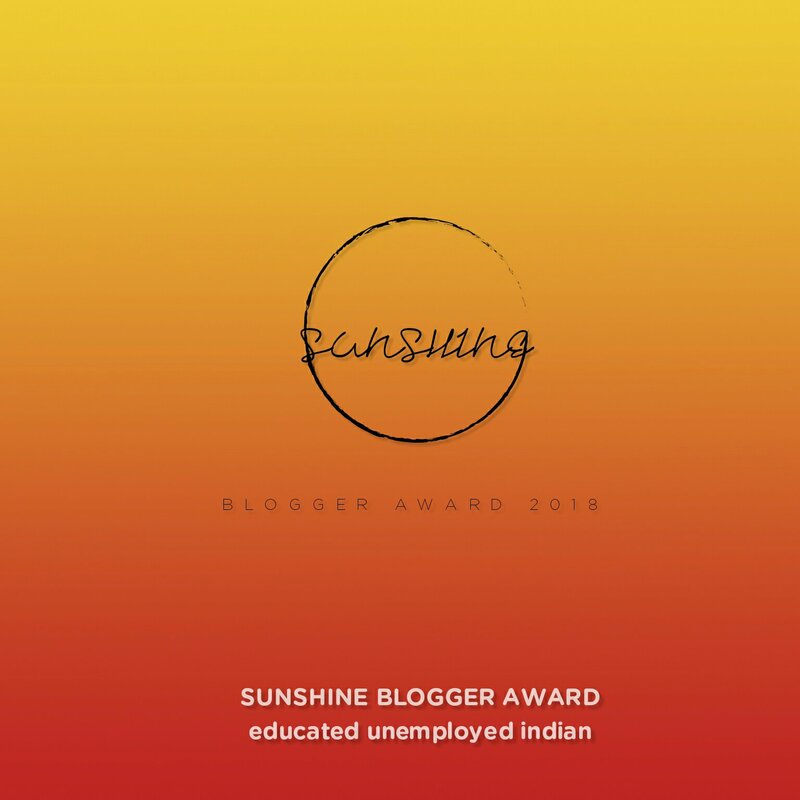 I got nominated for the ‘ Sunshine Blogger Award! I feel honored and overjoyed to be nominated for the Sunshine Blogger Award by Amanda. She is an amazing blogger and gives really great (books, movies, shows, etc) recommendations, check out her blog backtofiction . I was (pleasantly) surprised to get this nomination as by blog is quite new to the blogging world. 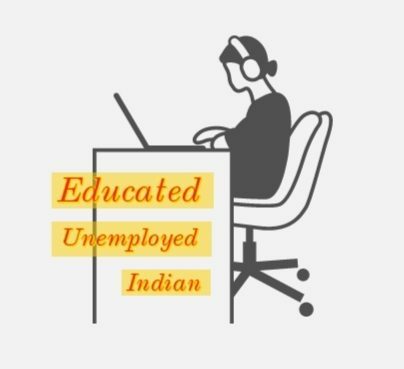 In the last few days I was able to connect to some of the most interesting and friendly bloggers through my blog. I feel extremely fortunate to be here as a small part of a great blogging community. 1. Thank blogger(s) who nominated you for the blog post and link back to their blog. Ans: I started my blog this year on 1st of January, so my blog is as old as 2018! 2. What is your favorite genre of book? Ans: I absolutely love reading Mystery novels, besides that I also like to read self help books from time to time. 3. Do you have a favorite adaptation? Least favorite? Ans: Books are always better and when you watch an adaptation after reading the book you’ll always get disappointed. If I have to pick an adaptation it has to be The Book Thief. I watched the movie first, which I liked a lot and then read the book. 4. How much time do you regularly spend on your blog? Ans: I spend about 3-4 hours everyday. In addition to working on my own blog, I also like connecting with other blogger and reading interesting blog posts. 5. Who would be your dream interview for your blog? Ans: I recently found a blog post by the brilliant and seasoned blogger Taro Starak. I was inspired by his journey and so impressed by his lessons on blogging. It would be a dream come true to interview him and learn a few things from him. Link to his blog is here. 6. What do you do when you hit a writing block or post slump? Ans: This happens to every blogger and has happened to me to. When I fail to find words to write I stop and think. I try to understand my perspective, my emotions and my knowledge on the topic. I think hard and once the words starts coming it doesn’t stop until the post is complete. 7. Do you have pets? How many and what kinds? And: Yes I do have a pet, she is the most adorable and loving dog in the world. She is a very playful Labrador who is very jealous of my laptop and has attacked it on several occasions. 8. Do you have anyone that assists with your blog? Ans: No, no one to assist me with my blog. I have been working all by myself, thanks to the internet for making every kind of information available at all times and on all topics. 9. Do you have any interest in one day writing a novel? Ans: I haven’t really thought about that, but I would love to write one about a single lady detective solving cases with her side kick ( a character which will be based on my dog). 10. If you could visit anywhere in the world without money being an obstacle, where would you go? Ans: I hope to visit Japan one day and travel some of it’s countryside which is so mesmerizing and blessed by nature. 11. Last one is not really a question. Tell me something interesting about yourself. Every time I finish reading a great book or watching a movie/ TV show, I instantly go on the web to check out images & more details about it. Here are the questions from me to you! 1. Do you remember how you got the idea for your very first blog/ blog post? 2. What is/ are the inspiration/s behind your blog? 3. What platform or strategies you use to publicise your blog? 4. Do you use any SEO tactics? 5. Do you have any specific target audience? If yes, how do you reach them? 6. What motivates you the most to keep blogging? 7. Can you explain a little about your writing process? 8. What kind of content do you enjoy writing the most? 9. Can you name two of your favorite bloggers? Actually, you can name as many as you want! 10. Tell us something (or many things) about you? 11. What do you think makes your blog unique/ interesting? Hope you will find the questions simple and interesting, can’t wait to read the answers! Congratulations! I enjoyed your answers ☺ and you started your blog like a month ago? Wow!! I’m long way from writing a novel though the dream dwells in my subconscious mind! Thank you for saying you’d read it, made me very happy! & sorry for the late reply, this comment was spammed. Thank god I found out & unspammed it! Thanks for stopping by 😄 and congratulations!! You are most welcome and thank you for such nice compliments. Hope I can maintain & keep doing whatever it is I’m doing right! Hi, seeing as you love Japan, check out One Black Tree. She wrote an absolutely beautiful post about Tokyo. I have mentioned her and linked to that post from my Sunshine Blogger post which is only a few posts back. Also check out Josypheen, her blog is called a Walk and a Lark. She has a great post about Japanese foods and links to sites for learning Japanese. I intend to go there on my travels! If you can’t find her, she is linked to and mentioned in The Cupcake Witch blog, her ‘Blog roll’ post which was only a few blogs ago. All the best! Cool answers!!! And your blog is one month and 23 days old today!